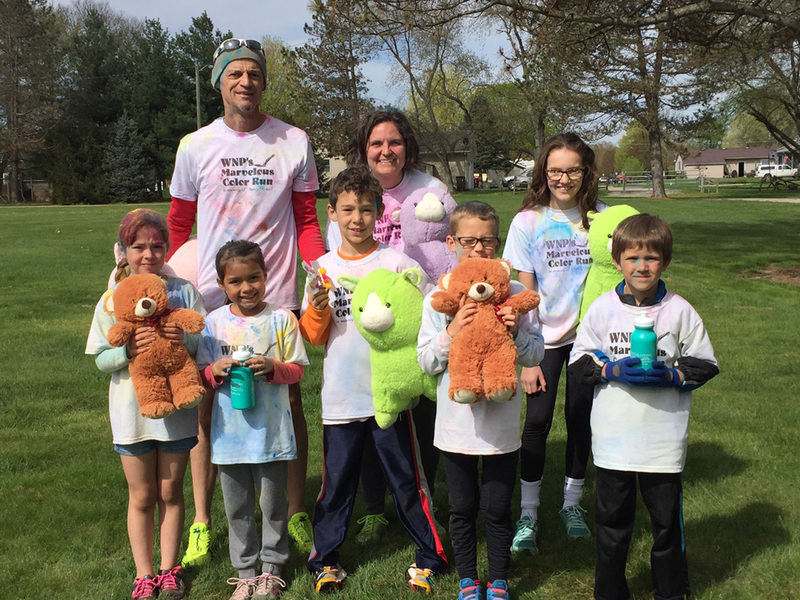 LIGONIER – West Noble Primary had its color run Saturday morning. The event was in memory of Nancy Howell, who was a teammate at WNP that passed away of cancer. The race was a celebration of her kindness. Winners for the day are pictured in the photo above. In the front row are, from left, Fatima Torres, one-mile female second place; Natalia Riegsecker one-mile female third place; Alex Scott, one-mile male first place; Brant Morgan, one-mile male second place; Xadrian Hofmeister, one-mile male third place. In the back row are Brian Shepherd, 5K winner; Christy Hofmeister, 5K winner; and Elyse Yoder, one-mile female winner.